Himalayan Salt Lamps for under $12- Great Gift Idea! 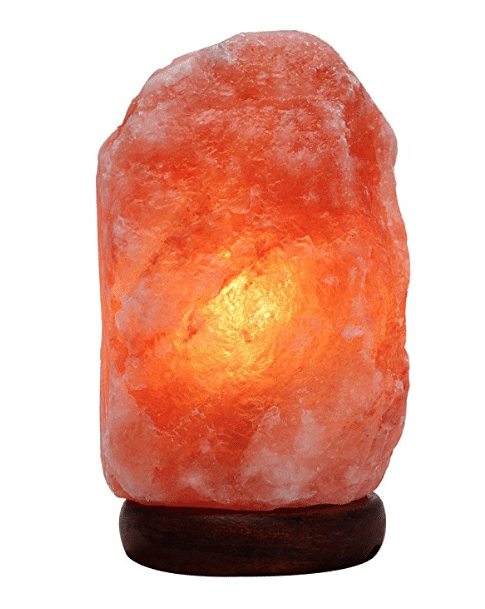 Amazon has some low prices on Himalayan salt lamps! These would make nice gifts (or a gift for yourself)! I have one of these in my son’s room and I love the natural glow it gives. It gives off red light, which doesn’t disrupt sleep like regular bulbs that give off blue light. These are also said to reduce EMFs in the house and purify the air. You can get the 6-8″ salt lamp for just $11.99, the 7-9″ salt lamp for $12.99 or the 6.6-11″ for $13.99. All of these are great prices, as these can go for as high as $50 in store. This model comes with a light dimmer and a wooden base.